In ihren Studienjahren lernen künftige Architektinnen und Architekten zu konstruieren – in einem umfassenden Sinn. Von den eigentlichen Konstruktionszeichnungen über die Gestaltung von Visualisierungen, vom Entwurf eines Gebäudes bis zur Auswahl und Verwendung der Materialien: Alles ist in einer grossen Komposition miteinander verbunden. In der Sammlung von Zeichnungen und Plänen manifestiert sich diese für das Architekturschaffen typische Vorgehensweise. Dieses Buch gibt einen Einblick in die Arbeit des Laboratory of Elementary Architecture and Studies of Types (EAST), eines Bachelor-Studios an der École polytechnique fédérale de Lausanne. Zeichnungen und Bilder einer breiten Auswahl von Arbeiten der Studierenden geben einen Überblick zur Ausrichtung des EAST in seinen ersten fünf Jahren. Neben den zahlreichen Illustrationen und vier Fotoessays des bekannten Schweizer Fotografen Joël Tettamanti beleuchten mehrere Texte die verschiedenen Forschungsthemen, die das Studio EAST verfolgt. 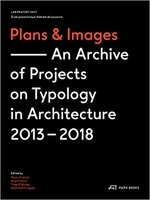 An atlas of plans and images of a range of building typologies, reflecting Laboratory EAST's teaching and research approach within the framework of EPFL’s School of Architecture. Learning to construct is the objective of the architecture student, who seeks to bring sketches, sophisticated visualizations, material and component choices, and detailed plans and diagrams together in a single grand composition. 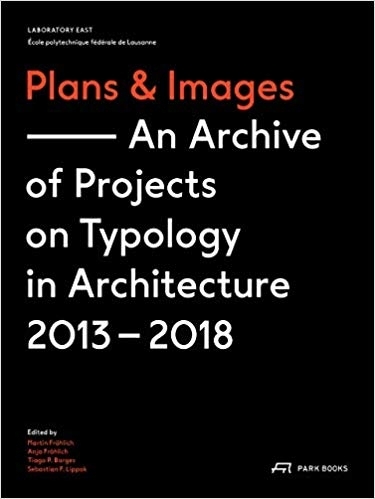 Plans and Images offers insight into how architects are trained by examining the teaching and research approach of the Laboratory of Elementary Architecture and Studies of Types (EAST), a satellite studio of the EPFL School of Architecture, Civil and Environmental Engineering (ENAC) in Lausanne. Going beyond the traditional notion of functionally determined typologies, Laboratory EAST is concerned more broadly with the principles of typology in architecture. Richly illustrated with drawings and plans by Laboratory EAST’s students, the book also includes essays by Antje Bittorf, Tiago P. Borges, Anja Fröhlich, Martin Fröhlich, Rafael Moneo, and Marie Theres Stauffer. An interview with Rafael Moneo, discussing the research topics pursued at Laboratory EAST, and a photo essay by Swiss photographer Joël Tettamanti round out the book.